We often speak to investors at or near retirement age who are looking for reliable income streams on which they can live. 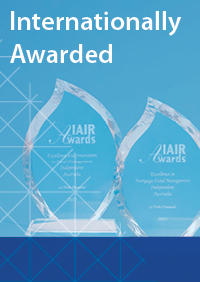 There are a number of strategies that they are employing to achieve this objective. Unfortunately, we often find the common misconception that income-based investment is inherently low risk. This edition of Investor Insights will explore some of the risks inherent in the most common income investment strategies. After all, it is critical that investors understand the risks, as well of the benefits, of each of the investments that they are choosing. Cash and term deposit investments have traditionally been seen as providing two key benefits: capital security and regular, reliable income streams. 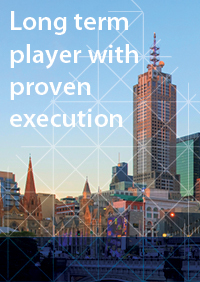 And, from a capital security point of view, cash has long delivered for Australian investors. However, it would be a mistake to regard this investment as absolutely ‘risk free’. Less than 18 months ago it was announced that depositors in the Bank of Cyprus would lose 47.5% of savings exceeding US$132,000. Even more remarkably, former Harvard professor of economics, Terry Burnham, made headlines earlier this year when he announced that he was withdrawing $1,000,000 in deposits from the Bank of America because he was not being properly compensated for risk. Of course, it almost goes without saying that the Australian banking system is currently in far better shape than the systems of Cyprus or the United States. But it would be naive in the extreme to argue that there is zero risk of a system-wide crisis that could put Australian deposits at risk. Even the government guarantee could be tested in extreme cases. The risk is that a system-wide crisis could overwhelm the effective ability of the federal government to protect depositors. That is why it is critical to ensure that any cash or term deposit investment generates sufficient yield to compensate for risk – however small that you judge the risk to be. This leads us to consider the second limb of the rationale for cash and term deposit investment, being regular, reliable income streams. And it is here that cash and term deposits are not currently performing for investors. 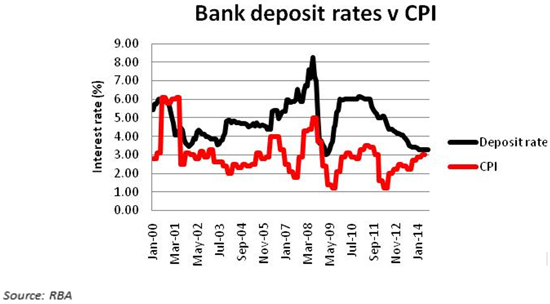 The RBA recently analysed bank deposit rates against the consumer price index (CPI) since 2000. 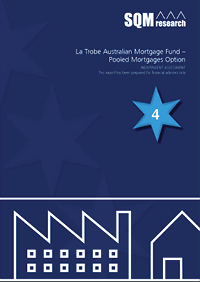 It found that the average 12 month deposit rate since 2000 was 4.84% p.a. When compared to the average CPI rate of 3% p.a., the average real yield on these investments was just 1.84% p.a. More recently, outcomes for investors have deteriorated still further. The RBA found that average 12 month deposit rates were just 3.30% p.a., with CPI still sitting at 3%. This brought the real yield down to 0.30% p.a – barely in positive territory. This of course means that an investor in cash and term deposits is barely (if at all) retaining the real value of their portfolio. The ‘nutshell conclusion’ for investors is that exposures to cash and term deposits have to be weighed and considered very carefully. The second income strategy that investors talk about is bond investment. 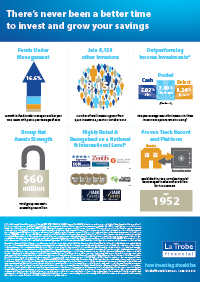 Traditionally, it has been difficult for individual investors to access bonds because of the high minimum investment required (often up to $500,000). However, some bonds are targeted at individual investors and have lower minimum investments required. Additionally, bond funds allow individual investors to access the asset class. 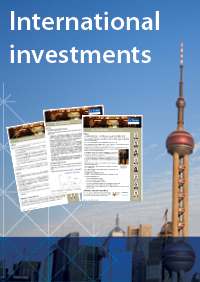 However, there has been a lot of discussion in the financial press about what the future holds for bond investments. Now even bond market stalwarts such as Bill Gross, founder of PIMCO, are calling the end of the bond bull market. Indeed, for about 18 months a range of commentators, importantly including Bank of England director of financial stability, Andy Haldane, have been arguing that we are experiencing the biggest bond bubble in history. It is fair to say that anyone who claims to be able to predict exactly how the bond bubble will end is either a genius or deluded. Certainly, a range of powerful national governments and central banks will be trying hard to control it. However, risks abound and investors should invest in bonds with their eyes wide open to these. A popular alternative to bond investments in some circles is hybrid notes. These are difficult to assess as a class, because their merits are so dependent on the detail of each individual hybrid issue. The ideal hybrid seeks to deliver higher returns (like shares) with lower risk (like bonds/fixed interest investments). Unfortunately for investors, the opposite is all too often true. Investors are exposed to fixed interest returns, in compensation for running risks more commonly associated with shares. The difficulty most investors face with hybrids is separating the ‘wheat from the chaff’. The standard hybrid offer document typically runs into hundreds of pages and is full of highly technical terms and conditions. Frequently – and particularly with bank hybrids – a detailed understanding of legal and regulatory issues like banking capital requirements and APRA’s regulation of these is required. The final income strategy that we will consider is investing in shares, or equities. 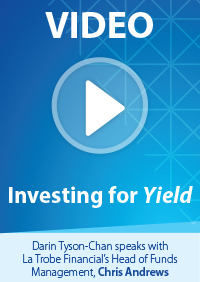 Since 2011, many investors have been investing in equities for the dividend yield. There is little doubt that this strategy has been successful over this period. 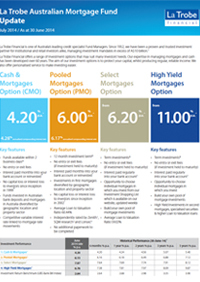 There have been some very strong dividend yields on offer, often boosted significantly by franking credits. However, it is important that investors do not forget the fundamental characteristics of equity investment. As we all know, fixed interest investments typically do not deliver returns as high as equity investments, but, in exchange, investors get greater certainty of return. Equity investments expose investors to capital risk. The S&P/ASX 200 dropped nearly 50% during the GFC and – seven years later - is still down by about 20% on its pre-GFC high. 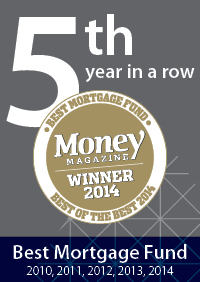 For SMSF investors who need to sell down portfolios for living expenses, this is a very significant capital hit. Importantly, whilst fixed interest yields derive from legal obligations (the ‘borrower’ has a legal obligation to make repayments), a dividend is by its very nature discretionary. It might look solid right now, but if circumstances for the company in question change, the dividend is the first thing to be dropped. Underlying capital and income risks is the fundamental equity risk of volatility. Equity markets and individual equities are prone to volatility and – as we’ve already seen – this volatility can result in multi-year or even decade-long periods of underperformance. 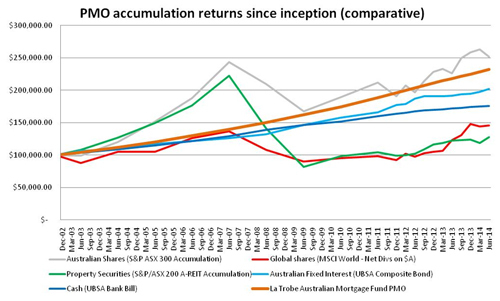 A current darling of the ‘equities for income’ strategy is Telstra and understandably so. But an objective, long-term observation of the Telstra share price reveals a very mixed picture for its investors. Again, this is not to deny the validity of equity-based yield investment strategies. It is simply to say that investors should ensure that the real risks of this strategy are taken into account. Investing for income is here to stay and it is always appropriate for investors to consider which strategies suit their individual needs and objectives. However, no strategy is foolproof and each has its own profile of benefits and risks. Investors need to assess these in detail to ensure that their strategy matches the investor’s individual risk profile. What’s more, there are yield-generating alternatives beyond these ‘usual suspects’. 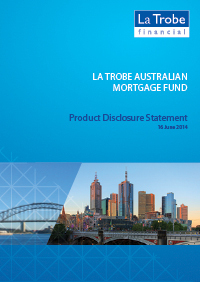 At La Trobe Financial, we target the generation of income through mortgage-backed investment. Our ‘peer to peer’ investment options allow investors to choose individual loans from our Investment Shopping list that suit their own needs and objectives.